Why did I said humane? You have to read on of course. 1st thing 1st, I must say that Toyota's advertisements have been really, really successful at marketing the car especially the latest breed of Vios! True to its ever popular latest tag-Desirable, Vios GT has really made heads turn and eyes greening with envy. But of course the car itself must have enough substance to back it up. Although the price might be a little steep to some, but I noticed the number of Vios blazing through our roads are increasing tremendously. I must admit at 1st I was quite baffled why some people are willing to dig deep into their pockets to fetch this car? Perhaps it's because of its ultra cool alien-ish look? Or there is something more than meet the eyes under those hood? Transfomer? Now...this is so DAMM uber cool! Did you guys know that the 1st generation of Vios was rolled out to replace Toyota Soluna back in year 2003? Heck, I didn't even know about this Soluna thingy. Guess I'm just not very literate when it comes to automobiles huh. Basically Toyota Soluna used to occupy the Asian subcompact market for a 1.5 litre, below the Toyota Corolla and Toyota Camry, both of which are also marketed in SEA (South East Asia) and China market. So with the advent of Vios, Soluna was officially bye-bye-ed! I've tried the 1st generation of Vios and I don't really like it. Design wise, it looks rather small...and at times I felt cramped when I was in it. Perhaps it was just me. But the Vios GT had really wiped off all those negative thought I had for its predecessor. 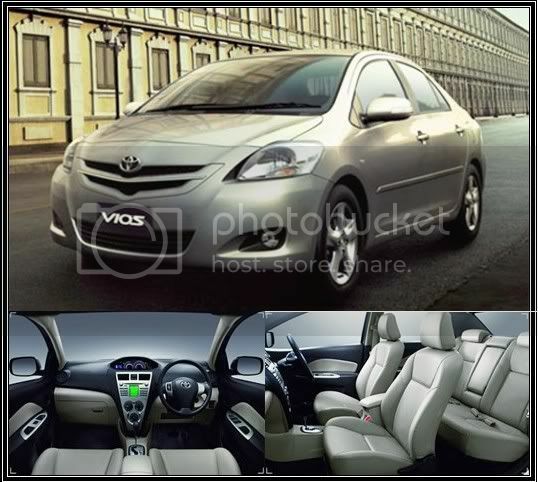 A darn "cun" and sleekly design make this Vios simply irresistible. Yeah, I am willing to go as far as describing it as DESIRABLE! Come on, who wouldn't want this sparkler right? But hey, everything comes with a price right? And this drop-dead gorgeous Vios has its own hefty price tag too. The new Vios comes in 3 grades. The most economical grade is the ‘E’ grade. It is a relatively cheap, beginner’s model available at around RM 78'900 (Cheap meh? :[). This grade finds the car in its most stripped form; unlike G and S which are state-of-art models. So, the E one is "lao yah" lar? Darn! Blocking my view. Darn, they are such a spoiler(s)! Ok, now did you guys wanna know why I said the latest Vios is not only very desirable but very humane too? Here's the video that can answer your question. 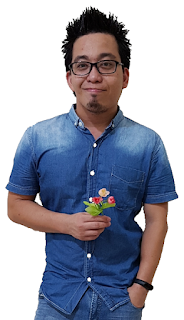 Introducing the very HUMANE Vios!!! P.S. : I've notice I used the word "desirable" a lot of times. Pardon me. phew wat an ad. if i could sell off my old car, i would buy this immediately. few yrs ago i wanted to buy vios as it was cheapercomparatively but i was put off by its low undercarriage. I regret now cos it is fuel efficient n its stripped version is still cheap. if people can overlook its dugong-ish design, it is a really good car. I like how you wrote those chicks were blocking your view of the car...hahha..true or not eh? But they always need the chicks there for advert for whatever reasons! I don't like the ad - I find it freaky scary to have humans inside my car!! No thanks! LOL! 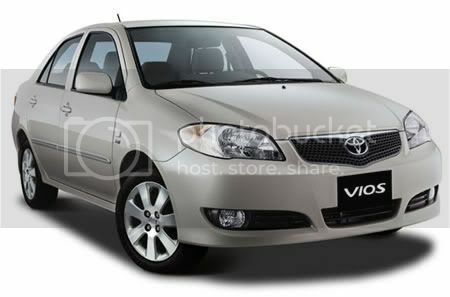 hey, vios is my first choice after grad.look quite elegant. compensate with the price. but it all depends on my income first. My Bug life-->Haha =) well, you can say that exploits these chicks on my blog too. Yeah! I only have my eyes for my wife. Wow! Damm rich! I think I will buy an avanza as my wife will get a viva soon. Foongpc-->Haha =) Yeah! Even before marriage I also don't like girl who are scantily clad. I like girl next door who is soft-spoken. LOL! Yeah! Cars are liabilities. I'm not sure when I can have my very own car. Quachee-->Yeah! That's why before this they have a roadshow for people to sketch their desired vios right?